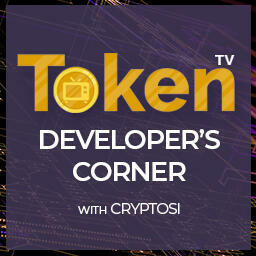 This second episode of Developers Corner, features one of the leading talents in PIVX, and recently a contributer to BITCOIN's Core wallet. Fuzzbawls has made a reputation for being straight talking and supportive developer with a staggering work rate. In this episode Cryptosi delves into the PIVX Github and speaks to Fuzzbawls about 2 developments taking place there, we get Fuzzbawls viewpoint on them and how they will possibly impact the project overall. Plus we also discuss Fuzzbawls contribution to the most well known crypto of them all Bitcoin. We'd like to thank Fuzzbawls for his time and we look forward to speaking with him again. When will the 3.2.0 be released? What goes into the release of a new version? What are your plans for PIVX over the next few months? Anything ‘HIGH PRIORITY’ in the works? Please dont forget to like and share.